...a friendly voice in your ear, offering insights, inspiration and ideas. Mark Stevenson is a martial arts instructor - teaching tai chi, kung fu and Chinese kickboxing, based in Sussex, UK. 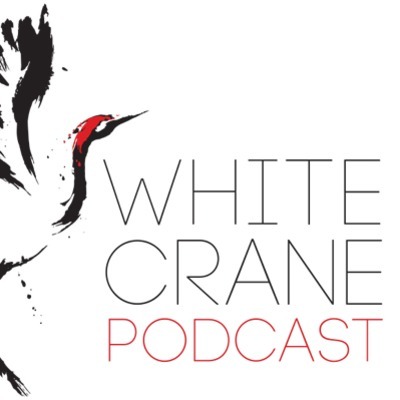 Mark speaks briefly about what you can expect in your first class at White Crane Academy (as well as other reputable martial arts clubs)... It can be daunting starting a new activity but at WCA we're a friendly bunch and we were all beginners once, so we know exactly how you feel! How to approach training in winter - the yin season! Thoughts on how to learn something that takes a long time - such as a martial art, a language, an instrument...etc. The Tao Te Ching speaks of the yielding power of water. How is this reflected in martial arts and life? A sense of community - one of often less though of benefits of martial arts training. A very simple, and quick, morning practice to set you up for the day. A brief intro to yin and Yang, as well as how they can influence your training and lifestyle.